When thinking of great hack n' slash games, one series that stands out is the Dynasty Warriors franchise. However, as with every great video game series, there is one game that does not live up to the same quality and promise as the others that came before it, and even those that will come after. Our Dynasty Warriors 9 review will educate players why this the one game in the series to avoid. Dynasty Warriors 9 is the ninth installment of the Dynasty Warriors game from Koei Tecmo. The Dynasty Warriors franchise has a strong fanbase that enjoys its exciting one-man-army action and deep historical connection regarding the warring Chinese kingdoms of the Han Dynasty. However, in our Dynasty Warriors 9 review, we see that it fails to stand out from others within its franchise and falls flat as a game overall. Dynasty Warriors 9 is available on Playstation 4, Xbox One, and PC. The recommended requirements for PC are 50 Gigabytes of storage, 8 Gigabytes of RAM, a core processor of i7 3770 or over, an NVIDIA GeForce GTX 1060 or over graphics card, Version 11 of DirectX, and a 16bit 5.1ch Surround, 48KHz sound card, and WAVE file can be played. 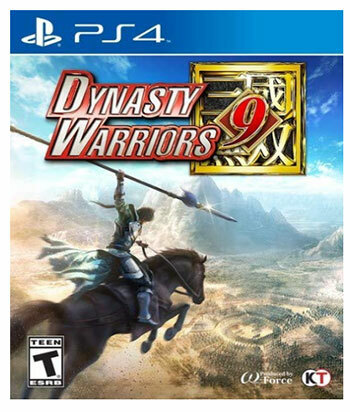 In our Dynasty Warriors 9 review, we will tell you that this game can be purchased at any store that sells electronics and video games and video game retail stores like GameStop for around $30. Downloadable versions are also available on the PlayStation Network, Microsoft Store, and Online services such as Steam for $60. We picked a couple of similar games available now or soon to be released to see how they compare. See how they stack up in their reviews and our Dynasty Warriors 9 review. The games we've chosen are listed below. 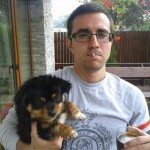 After their respective reviews, we will include a link as to where they can be bought. Due to the lackluster Dynasty Warrior 9 reviews and sales, it is not a full-priced game at $ for a hard copy on PlayStation 4 and Xbox One. In our Dynasty Warriors 9 review, we explain why. Dynasty Warriors 9 introduces a new style for the campaign mode. In previous games, players progressed by completing levels and powering up their characters by adding new weapons, combos, and items to have their abilities match or surpass what the game threw at them. In this game, there is an open world instead of different levels. The positives are obvious, as it allows the player to visit and explore the towns in Han Dynasty China, and take part in random encounters. However, the map is excessively large. If a player were to travel on horseback from one end of the map to the other without stopping, the journey would take two hours. Fast travel is an option, but only for towns and cities the player has already visited, and many required quests will demand the player to visit far places on the map through an empty and repetitive open world. The open world is the epitome of wasted potential because aside from random encounters and simple resource gathering, there is nothing else that can be done in it. The most egregious crime this game commits is to make the combat as basic and as "button-mashy" as possible. In other Warriors or "Musou" Titles from Koei Tecmo, every character had different moves and attributes in combat. Some were faster, some hit harder, and some focused on ranged attacks as examples. However, the combat is streamlined to where learning combos aren't necessary, as there's one button to start a fight with a heavy attack and a quick attack button for the weaker enemies, with all bosses being killed by this one combo. Taking place during the Han Dynasty, and retelling the Romance of the Three Kingdoms, Dynasty Warriors 9 reviews have a campaign mode where the patriarchs of the three kingdoms are the playable characters. Beginning with the Yellow Turban Rebellion and ending with the Fall of Shu. The three playable characters have their own story modes that take place according to their own time in history and end when their deaths historically occur. Aside from the appeal for fans of Chinese history, there is little to keep players invested. While voice lines in Dynasty Warriors have always come off like the dialogue in comic books, the performances of the actors for these characters leaves much to be desired, as the direction seems to be as robotic and as stale as a middle school skit. Not to mention, because there are only three stories, that leaves the other 80 characters available in this game without proper playable roles in the story, making the story as stale as the gameplay. Aside from flashy attacks, the graphics in this game are subpar when compared to other games on the same level of production. NPCs will clip into one another, and the in-game cutscenes aren't cinematic, making the characters appear robotic in their interactions. The characters have limited animations within the cutscenes so that they will repeat the same animations. Aside from this, the common complaint of frame rate dropping in Koei Tecmo games is present here, but this is a minor complaint as the game cannot always keep up with the action on screen, and even the best Koei Tecmo games have this issue. While not released yet, Darksiders III is a highly anticipated game developed by THQ Nordic. The first two games earned critical acclaim for featuring combat akin to famous hack n' slash games such as Devil May Cry and God of War, the exploration and dungeon crawling aspect of The Legend of Zelda series, and a dark fantasy premise. Darksiders III will be a better choice than Dynasty Warriors 9 when it is released later this year. Darksiders III is an open-world action adventure title with a dark fantasy premise. Players will explore a vast open world and fight demons, and angels on their quest to bring order back to the world they find themselves in. With powerups for characters, dungeons with the same level of challenge and intrigue as the ones seen in The Legend of Zelda series, and combat inspired by Devil May Cry and God of War, Darksiders III will bring satisfaction and a compelling story to all who pick up and play it. We cannot rate this properly as the game hasn't been released yet. Darksiders takes place in a world where Heaven and Hell are equal and opposing forces. As the war between angels and demons raged, the destruction of the war threatened all of existence. To prevent this, and stop the war, a neutral party between Heaven and Hell known as the Charred Council was formed to uphold a balance between these two forces. The Charred Council had four powerful horsemen that worked for them and were feared and respected among the angels and demons. These four horsemen are War, Fury, Strife, and Death, and are known as the horsemen of the Apocalypse. After the war between Heaven and Hell, new life in the form of humanity was born, and the Council created a pact where all three kingdoms would fight for the right to govern existence. Humanity was still a young race and was no match for Angels or Demons, so the pact would be enacted when they reached the power to stand on their own. However, the Apocalypse happened too soon, and humanity is all but extinct, leaving the four horsemen to find the truth behind the situation. Darksiders III will follow Fury, and her quest to eliminate the Seven Deadly Sins, as she moves forward to learn the truth behind the Apocalypse. We cannot properly rate the story of Darksiders III until the game's release. Darksiders as a series has graphics on the same level as modern-day graphic novels and a wonderful sense of cinematic cutscenes to go along with the dark fantasy setting of the game. Darksiders boasts one of the most artistically beautiful graphics styles seen in the video game industry. We cannot properly rate the graphics of Darksiders III until the game's release. While both games have open worlds and interesting stories, our Dynasty Warriors 9 review should show that there is no comparison between these two titles in terms of quality. What Darksiders III and Dynasty Warriors 9 reviews have in common is fast paced hack n' slash action. While the action in Dynasty Warriors 9 gets old fast, the intriguing enemies and boss battles that will show up as the game progresses will keep things fresh in Darksiders III if it lives up to the same standards as the previous two games in the series. The acclaimed Monster Hunter games from Capcom are a wonderful testament to action RPG games. As the title suggests, the player will take control of a monster hunter who hunts monsters. The challenging gameplay and unique weapon styles available to the player will ensure hours of fun, and as the monsters get harder, players can team up to help each other out when fighting different monsters and earning new sets of equipment and weapons. Monster Hunter Generations Ultimate is a shining example of what to expect from this beloved series. Monster Hunter Generations Ultimate is available only on Nintendo Switch for $$. Monster Hunter Generations Ultimate follows the same formula as previous Monster Hunter titles. Players take control of a hunter they customize in terms of physical appearance and attributes, then they are sent on hunts. Players are also allowed to choose one starting weapon of any variety, ranging from a default sword and shield to the charge blade, which is a transformation weapon. From there, the players are introduced to the traditional Monster Hunter cycle, where they hunt monsters to improve their equipment and weapons and then go on to fight harder monsters. Eventually, the monsters will become too powerful for one player to fight effectively, so it is best to team up with other players to complete hunts. Unique to this game is the Hunter Arts, which can greatly boost the abilities of the weapon equipped and the hunter themselves. These can change the tide of battle in the player's favor quickly or help to put an end to a frustrating monster. Monster Hunter is a gameplay based series, so there is little focus to the plot. The usual plot of the games is there is a monster causing havoc on a global scale, and the hunter and their team eventually hunts them down. The same is true here in Monster Hunter Generations Ultimate. Even after completing the main campaign, harder single player and multiplayer hunts will be available to the player. Monster Hunter Generations Ultimate is a gorgeous 3D title with graphics comparable to Japanese Role Playing games such as Final Fantasy XIII. The monsters appearances and movements are impressive by modern day standards, and the weapons and equipment in the game are breathtaking. Combine this with the fact that Monster Hunter Generations Ultimate has almost no frame rate issues, and the entire experience feels smooth, looks great, and feels like artwork by looking at it. The only true comparison between Monster Hunter Generations Ultimate and what we said in our Dynasty Warriors 9 review is the fast gameplay between these two titles. However, Monster Hunter Generations Ultimate is by far the better game in terms of presentation, gameplay depth, and challenge. As said in our Dynasty Warriors 9 review, are 83 playable characters with three available for the story mode, while there are fourteen different weapon types in Monster Hunter Generations Ultimate and those fourteen weapons are available at the start. While Monster Hunter might get difficult as the game goes along, games made by From Software, such as the critically acclaimed Dark Souls series and spinoff titles such as Bloodborne, will start difficult and will continue to get harder as the players progress through their game. The upcoming Sekiro: Shadows Die Twice will deliver on that promise while paying homage to classic stealth games. Sekiro: Shadows Die Twice will be available for Playstation 4, Xbox One and PC for $$ in March 2019. Sekiro: Shadows Die Twice is a stealth-based action RPG. 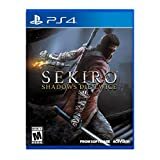 Players take control of Sekiro, a ninja who focuses on stealth to assassinate his enemies. If spotted, Sekiro can fight his way out, but he will always be at a disadvantage. Equipped with ranged weapons, his trusty blade, and a grappling hook that allows for near limitless climbing capabilities on the same level shown in the Assassin's Creed games, Sekiro will be prepared to face whatever challenges await him. We cannot rate the gameplay in full until the game's release. A ninja was left for dead with his arm severed and his lord kidnapped. After a mysterious sculptor nurses him back to health and gives him a prosthetic arm to replace his missing limb, the sculptor dubs him Sekiro (The one-armed wolf). Armed and ready, Sekiro fights to rescue his master and exact revenge on those who nearly killed him. We cannot rate the story in full until the game's release. Sekiro: Shadows Die Twice borrows many graphical elements from the Souls series, which is a boon, considering how breathtaking those games are. Preview videos for the game have also revealed blood effects on the same level as From Software's Bloodborne. A full criticism of the game's graphics cannot be made until the game is released. In our Dynasty Warriors 9 review, we looked over how the historical accuracy of the game is one of the major selling points. Sekiro might not be historically accurate in its premise, but it has everything else above Dynasty Warriors 9. Sekiro: Shadows Die Twice is looking to be the better title between the two. This Dynasty Warriors 9 review might not have ended favorably for the game itself, but that's due to the many problems within the game. It's saddening and disappointing to see a major game franchise release such a lackluster title, especially considering their above-average track record among their similar games. All three previous games are looking to be or are better than Dynasty Warriors 9, with our favorite going to Darksiders III. In our Dynasty Warriors 9 review, we give this game a rating of two out of five.